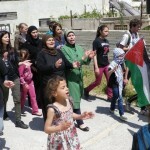 On Friday 10 May 2013 the residents of Azmut village organized a demonstration to protest the recent confiscation of village lands by the illegal Israeli settlement, Elon Moreh. 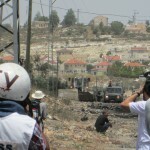 At approximately 16:30 on May 8, the Israeli army closed Zatara checkpoint in the central West Bank due to a settler demonstration in the junction. 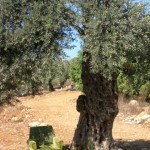 The roads from Ramallah to Nablus, Zatara to Jericho and Yasuf to Zatara were all closed to Palestinian cars. 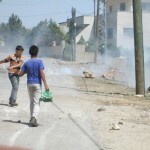 Two people were injured by tear gas – a local organizer and a journalist who was shot in the face – and one teenager suffered a fractured arm while running from the tear gas. 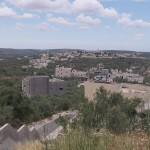 Terrorising the neighbouring villages of Deir Istiya, Hares, and Kifl Hares for 3 days in a row: Violent arrests, Israeli army attacks, and threats of settler attacks. Following yesterday’s killing of a Jewish settler form the militant illegal Yitzhar settlement, gangs of armed settlers accompanied by Israeli occupation army repeatedly attacked villages Burin, Asira and Urif. 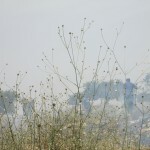 The village road, together with the surrounding hills and houses were doused with tear gas using a weapon dubbed “the tempest”, which shoots dozens of tear gas canisters simultaneously, causing a fire in the surrounding fields and hospitalizing five people. 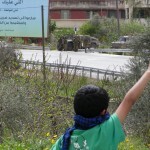 As the non-violent demonstrators, children among them, reached the top of the hill, Israeli soldiers approached and immediately began shooting tear gas. 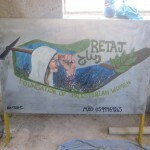 IWPS and ISM went to ‘Asira for a work day to clean an empty house that is to become a community center. Ten locals directed the work and labored alongside internationals. 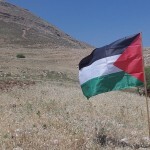 Over 100 people gathered at An-Nabi Saleh for their weekly demonstration against the Israeli occupation. 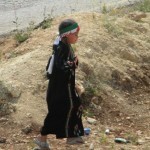 The community of An-Nabi Saleh was present with people from all ages alongside national, international activists and media. 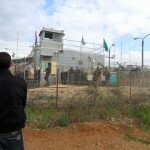 IWPS visits Salem Military court, where Palestinians attend their ‘hearings’. After each court case, the family members are allowed one minute to talk to their sons. They do this from behind the guard-rail set at a right angle to where their sons stood. 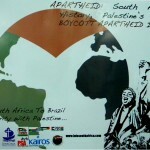 Several IWPS team mates attended the World Social Forum-Free Palestine. Held November 28-December 1 in Porto Alegre, Brazil, this year’s Forum was historic in nature as it focused solely on Palestine. 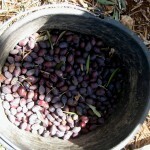 In the 2012 olive harvest season, IWPS accompanied land owners in 15 villages. 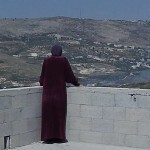 See the full list, together with their neighbouring illegal Israeli settlements, here. 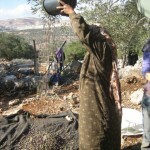 Denial of access, principal stand to refuse to ask the occupiers for permission to access one’s land, transportation… IWPS Team reflects on the main challenges regarding our work with Palestinian farmers during the olive harvest season.